Want to add heat and light to your cool and dark summer nights? These three fire features will do just that, and will add stunning design to your backyard as well. Add some or all three of these fire feature projects to your summer project list! 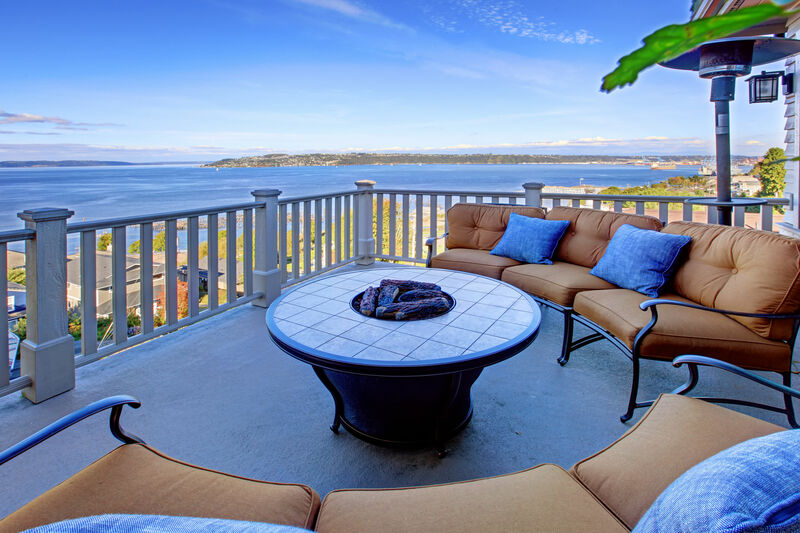 Want to have a fire pit in your backyard but don’t have the room for it? The best alternative to a fire pit is a fire bowl. You can make this as small or as big as you want depending on the size of concrete bowl you purchase. Fill the bottom of the bowl with the fire-resistant lava rock and place the chafing fuel container on top. Lay the crystals around the fuel container. Make sure the fuel container is sticking up past the crystals and the bowl a tiny bit. Light the fuel container and you have yourself a miniature fire pit. These are perfect for roasting marshmallows right on top of your outdoor table. My favorite part about summer is having my friends and family over for fires in my backyard. I think it’s safe to say that I’m not the only one who loves these fire pit gatherings! 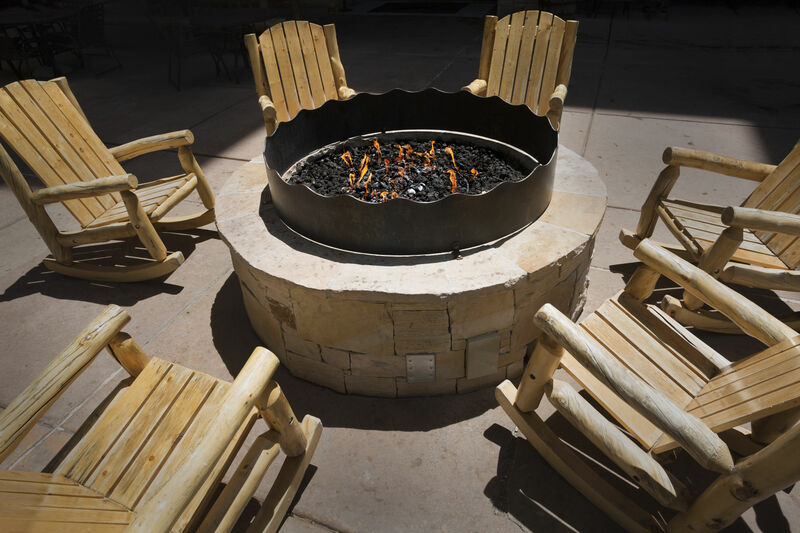 Instead of buying a manufactured fire pit, impress your friends and build you own. It’s a nice summer project you and your family can do and enjoy together. While you’re buying the pavers, map out on the store floor how you want to lay them out. Since they come in all shapes and sizes, you want to do this at the store. Make sure you buy at least three levels of pavers so that the fire pit is high enough. Make the ring of the fire pit with the decorative pavers. Inside the ring, lay the square pavers down and fill in the missing corners with the triangle pavers. Along with the pavers, buy a bag of paver sand. When you get home, find the perfect spot in your backyard to build this fire pit exactly how you designed it at the store. When all the pavers in the middle of the ring are laid down spread the sand evenly over them to fill in any gaps. That’s is, your all done! Pretty simple, right? Do you have 5 minutes? This project is ridiculously simple to make. Add some light, fire, and bug repellant to your party with DIY tiki torches! If your using a mason jar, make a large enough hole in the lid for the wick to come out of. You can use a drill and a large bit to do this. Feed the wick through the lid, then on to the oil. Fill whatever glass bottle you are using ½ or ¾ full with the citronella oil then screw the lid on or place the wick in the bottle. Simply light the wick and you have yourself decorative tiki torches within minutes! I’m going to leave you with some safety tips that I believe are crucial for a safe and enjoyable summer. Smokeybear.com gives some great tips to help ensure your families safety with fires. Make sure your fire isn’t below hanging branches, keep a large amount of water near you, and an adult should be around the fire at all times! Make some great memories with your children, loves ones, and friends around the fire this summer!